UK gas bills have soared to a figure almost triple that of ten years ago according to new figures from the Office for National Statistics (ONS). The ONS research shows the cost of gas to families is a staggering 190% higher than a decade ago, while electricity bills have increased a whopping 120% in the same period. This was despite the report suggesting "very little overall change in the volume of household energy consumption". Energy bill price increases dwarf the 30% rise in the cost of household goods and service in the same time period. The portion of a households disposable income now being spent on necessities such as water, electricity, gas and petrol has shot up from 19.9% to 27.3%. Heat and light now accounts for 3.1% of household spending today - rising from the 1.8% it stood at ten years ago. However, the ONS reported in comparison to the soaring costs elsewhere, the average homeowners disposable income has remained 'broadly flat' since Autumn 2009. Discussing the findings the ONS said: "The UK economy has now grown for three consecutive quarters. "However, the economic position of households remains under pressure as prices continue to rise more quickly than earnings." The report comes at a time when four out of the 'Big Six' energy suppliers in the UK have increased their energy bills. Scottish Power, British Gas, SSE and npower have all hit customers with large bill increases in the past month. 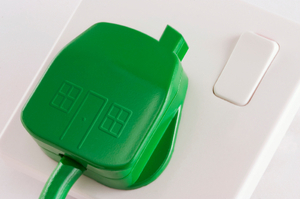 The government launched its Green Deal initiative back in January in order to help cut down domestic carbon emissions and also improve energy efficiency. By offering loans on things such as new boilers or wall insulation, the government hopes the scheme will boost energy efficiency, and also help cut down energy bills at a time when prices seem to be constantly on the rise.